Here normally Formula 1 race drivers compete for victory is where journalists breathed in motor racing air just recently. Helmet on, key in the ignition – on the left next to the steering wheel, of course – and off to the Autodromo Nazionale Monza race track. There: see how the car glides smoothly over the asphalt, hear how the engine purrs and sense how a Porsche feels. Race track training as sensual experience. Because ultimately you can write best about what you've experienced personally. That's why Porsche had invited 16 journalists from Germany and Switzerland to northern Italy. The participants had the chance to discover personally how Porsche bridges the gap masterfully between sportiness on the race track and practical everyday driving on the street. 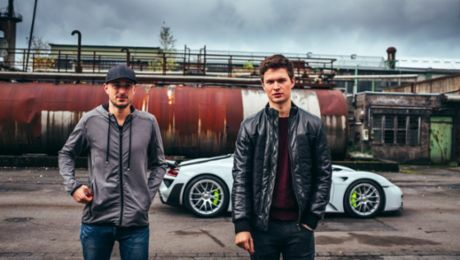 After the theoretical principles for driving on a race track have been explained by a Porsche instructor, we were under way on the track, guided by Porsche factory driver Neel Jani and the 918 record breaker Marc Lieb. Besides the guided drives in models like the GT3, Carrera 4S, Turbo S, Boxster GTS and Cayman GTS, the climax was a cab ride in the 918 Spyder. 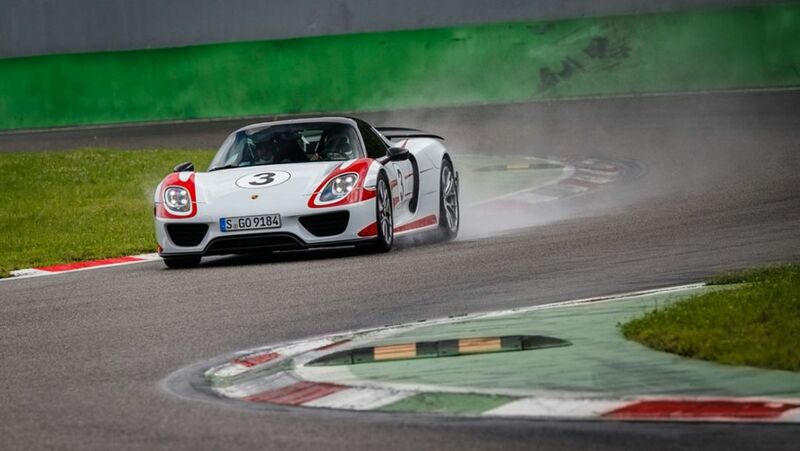 The factory drivers demonstrated on the rain-soaked road what a Porsche super sports car is capable of. What the journalists experienced that day: in this video.